Convicted murderer Sirius Black has escaped the Wizards' Prison and is coming after Harry. When Thanksgiving 2003 rolled around, many folks wondered why a new Harry Potter flick failed to materialize. They knew one was in production - where was it? 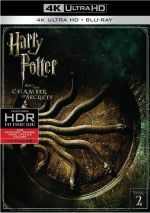 After two straight November releases with 2001’s Sorcerer’s Stone and 2002’s Chamber of Secrets, the powers behind Potter decided to rearrange release dates and put the young wizard up against different competition. That meant Harry Potter and the Prisoner of Azkaban came out during the busy summer 2004 schedule, and this may have been a mistake. Prisoner certainly earned good cash, as it took in $249 million in the US. However, it showed the second consecutive Potter decline, as Stone nailed $317 million, but that dropped to $261 million for Chamber. Prisoner didn’t mark a big drop from the others, but it showed a slip, and since the flick got generally good reactions, it might have fared better with an end of the year release. Just like the first two films, Prisoner opens between school terms with Harry (Daniel Radcliffe)at home with his unpleasant relatives. When he uses magic to make his nasty Aunt Marge (Pam Ferris) inflate and fly away, a row ensues and Harry flees. Happily for him, the “Knight Bus” - a transport for displaced witches and wizards - comes to get him. He heads to the Leaky Cauldron, but along the way, he learns that murderous sorcerer Sirius Black (Gary Oldman) - the titular prisoner of Azkaban and a supposed supporter of ultra-evil Lord Voldemort - escaped. At the Cauldron, Harry briefly meets with the Minister of Magic (Robert Hardy) before he reunites with pals Ron Weasley (Rupert Grint) and Hermione Granger (Emma Watson). Ron’s father (Mark Williams) tells him that Black blames Harry for Voldemort’s death and will likely pursue our hero. The kids head back to Hogwarts for another term. On the train ride, Harry tells his pals the deal, and he also gets a visit from a scary creature called a dementor, one of the guards of Azkaban, as it searches for Black. Harry goes through a weird reaction and passes out before new professor RJ Lupin (David Thewlis) intervenes. When they arrive at Hogwarts, headmaster Professor Dumbledore (Michael Gambon) welcomes back the amassed students but also gives them a warning. The dementors will stalk Hogwarts until they catch Black, and they can cause harm to others anyone who might get in their way. After the kids get reacquainted and start classes, they hear that Black is sighted nearby and fret about his possible return. Those fears soon turn to reality, as Black apparently shows up on the scene. Harry overhears discussions that indicate a new professor may have helped Black gain entry into the building, but he doesn’t get more information than that. Suspiciously, however, Lupin doesn’t come to teach his next class, and substitute Professor Snape (Alan Rickman) has the kids alter the curriculum to learn about werewolves. Time passes, and Harry finds out more about Black and the baddie’s connection to his family. He declares that he’ll be ready for the villain and tries to learn what he needs in case that day comes. The rest of the flick follows the events that lead to this inevitable confrontation and twists along the way. For the first time, someone other than Chris Columbus directed a Potter flick. One will likely find it difficult to tell, however, as Alfonso Cuarón doesn’t exactly leave a strong mark on the material. Prior to Azkaban, Cuarón got much of his fame in America from 2002’s Y Tu Mama Tambien, a fairly raunchy “coming of age” tale that featured lots of sexual content. That seemed like an odd basis on which to select the director of a Potter effort, and Cuarón comes across as unsure of himself in these surroundings. Maybe “unsure of himself” isn’t the correct term, but Cuarón fails to give Prisoner a distinctive feel. If you didn’t know that someone other than Columbus directed the movie, you wouldn’t be able to tell from the action onscreen. I’d say that Prisoner presents a slightly darker tone than its predecessors, at least at times. Cuarón manages to make elements like the dementors appropriately scary, but otherwise, I see little to make the flick come across as different from the prior efforts. Some might regard that as a good thing. After all, the previous Potter movies did well, so why alter the formula? Then again, why bother to get a new director if we’re going to get the same old thing? I don’t mean to harp on Cuarón heavily, but I admit the sameness that comes with Prisoner disappoints. I hoped the change in director would bring a new spirit to the movie and make it more distinctive. Instead, it works in a manner very similar to the first two. I thought those lacked good story development, and that happened here as well. For filmmakers, the biggest problem with the Potter films relates to the source material, meaning that they need to make good movies but they also need to satisfy the legions of fans who adore the books. Those are long tomes and apparently filled with lots of moments that don’t necessarily further the plot. Those elements may work fine on the printed page, but they slow down a movie. Nonetheless, perhaps out of a sense of duty to the fans, all three Potter movies include lots of these “slice of life at Hogwarts” moments. We see plenty of them in the first two films and they continue here. Actually, Prisoner probably cuts back on them a little, but they still fill too much time for my liking. It’s shocking to realize that at 142 minutes, Prisoner offers the shortest of the three flicks. The first two ran too long, and that flaw continues to mar Prisoner. It’s all about the exposition, which progresses at a snail’s pace. Some will argue that the views of daily life at Hogwarts give Potter its distinctiveness, but I feel that enough is enough. We saw lots of those establishing moments in the first two flicks, so now they’re just tedious. Because of that, the movie’s third act works the best. We see some clever moments during the second half as the kids find out the truth and work out the solution. Once the filmmakers remember the film actually has a plot and they bother to explore it, the flick improves. On the negative side, the story seems awfully familiar. Does Harry ever deal with anything other than people who want to kill him? There’s not much else to the plot, and this sense of déjà vu mars the movie. It’d be nice to see a flick in which there isn’t an ominous threat hanging over Harry’s head. This makes him more of a reactive character than anything else, though the third act allows him to become more involved in his own fate. It doesn’t help that Radcliffe continues to be a bore as Harry. I cut him slack in the first movie since I thought the story wanted him to start out as a cipher so he could better develop later. Unfortunately, that doesn’t seem to occur here, so he’s still flat and without much personality. Viewed on its own, Harry Potter and the Prisoner of Azkaban presents a reasonably entertaining piece. My mild dissatisfaction with it comes from a sense of boredom, as it’s the third movie in the series but it doesn’t do much to make it distinctive. Sure, each film needs to present enough similarities to make them feel like it melds with its predecessors, but that doesn’t mean it must come across like a remake. 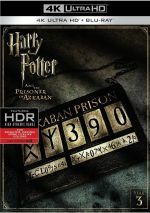 Harry Potter and the Prisoner of Azkaban appears in an aspect ratio of approximately 2.40:1 on this 4K UHD Disc. This turned into a very appealing presentation. Sharpness seemed strong. A couple of early shots showed a smidgen of softness, but the vast majority of the flick appeared detailed and accurate. Jagged edges and moiré effects caused no concerns, and edge enhancement seemed absent. The movie looked free from flaws, as I noticed no specks, marks, or other issues. Prisoner didn’t exactly feature a sizzling palette, as it went with a subdued blue, an off-green or a rusty amber much of the time. Still, the colors looked as intended, and when they were allowed a little more breadth, they stood out as vivid. Black levels looked solid, as they portrayed deep tones, while shadow detail appeared smooth and appropriately visible. Low-light situations seemed neatly defined and suffered from no excessive opacity. At all times, this became a strong image.. In addition, the DTS-X soundtrack of Prisoner worked well. Downconverted to DTS-HD MA 7.1, much of the track maintained a focus on the front, but within that spectrum, the audio seemed smooth and lively. Music presented good stereo imaging, while effects popped up in their appropriate locations and blended together cleanly. Elements moved from one channel to another in a natural manner. When the rear speakers kicked into action, I appreciated the mix, as more than a few sequences used the surrounds to good advantage. These packed a nice punch and involved the listener well. Audio quality appeared solid, as speech seemed natural and warm, and I detected no issues related to edginess or intelligibility., John Williams’ score was clean and bright. Low-end response was nicely deep and tight, as bass elements really added to some of the more aggressive sequences. The audio worked well enough for an “A-”. How did the 4K UHD compare to the Blu-ray version? Audio appeared more dynamic and immersive, while visuals seemed tighter and more accurate. Expect a clear upgrade from the 4K. No extras appear on the 4K itself, but a Blu-ray copy contains some materials. Nothing shows up on the movie disc, but Blu-ray Two offers bonus pieces. These replicate the exclusives from the Ultimate Edition. We open with a documentary called Creating the World of Harry Potter Part 3: Creatures. It runs one hour, three minutes, 22 seconds and offers notes from directors Chris Columbus, Alfonso Cuaron, David Yates, and Mike Newell, production designer Stuart Craig, Framestore CFC animation supervisor Pablo Grillo, special effects makeup designer Nick Dudman, producers David Heyman and David Barron, visual effects producer Emma Norton, concept artist Rob Bliss, visual effects supervisors Jim Mitchell and Tim Burke, visual effects producer Theresa R. Corrao, concept artist Adam Brockbank, sculptor Chris Fitzgerald, author JK Rowling, screenwriters Michael Goldenberg and Steve Kloves, and actors Daniel Radcliffe, Warwick Davis, Matthew Lewis, Emma Watson, Rupert Grint, Robbie Coltrane, Jason Isaacs, Evanna Lynch, Toby Jones, Jason Piper, David Thewlis, Dave Legeno, Ralph Fiennes, and Timothy Spall. To the surprise of no one, “Creatures” concentrates on the design and execution of the fantastic critters we see throughout the Potter series. We learn a lot about early visualizations and check out how the filmmakers brought the beings to life on the screen. When all is said and done, “Creating” will add up to one nine-hour or so documentary, which is astonishing. Sure, that covers eight movies, but it remains a project of amazing scope. “Creatures” keeps the series going well. It could probably ground the franchise better, as it’s not always clear what movie is being discussed. However, it assumes that anyone who’ll watch nine hours of Potter documentaries probably knows the series well, and that’s a sensible assumption. Any way you look at it, “Creatures” develops its subject matter in an informative and enjoyable manner. Five featurettes follow. Inside the Creature Shop goes for eight minutes, 27 seconds and features a tour conducted by special effects makeup designer Nick Dudman. As promised, he leads us through the creature shop and shows us the ins and outs of various effects. Some of the info’s a little redundant, but the “hands on” feel makes the show useful. During the 42-minute, 28-second The Magic Touch of Harry Potter, we hear from Rowling, Grint, Radcliffe, Watson, Columbus, Cuaron, Coltrane, Heyman, Craig, Isaacs, Thewlis, Heyman, producer Mark Radcliffe, and actors Tom Felton, Maggie Smith, Gary Oldman, Richard Harris, John Cleese, Alan Rickman, Ian Hart, Kenneth Branagh, and Michael Gambon. Created to promote Prisoner in 2004, “Touch” traces the roots of the books, their move to the big screen, casting, visual aspects of the films, working with the actors, bringing Cuaron onto Prisoner, and aspects of shooting that flick. As I mentioned, “Touch” existed to tout the then-new Prisoner. Six years later, it’s not particularly useful. You’ll see a decent selection of shots from the various productions, but the tone remains resolutely promotional, so hard information is rare. It’s a watchable show, but it’s not a particularly useful way to spend 42 minutes. 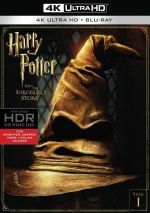 Harry Potter and the Prisoner of Azkaban: Something Wicked This Way Comes fills 13 minutes, two seconds and offers remarks from Daniel Radcliffe, Grint, Watson, Oldman, Thewlis, Gambon, Coltrane, Cuaron, Columbus, Heyman, Mark Radcliffe, and actor Emma Thompson. The show gives us a basic overview of the flick and looks into Cuaron’s take on the tale, costumes, cast and performances. This is another promotional piece, so don’t expect much from it. Next we get the 10-minute, two-second The Making of Harry Potter and the Prisoner of Azkaban. It throws in notes from Cuaron, Columbus, Daniel Radcliffe, Grint, Watson, Heyman, Oldman, Gambon, Smith, Thompson,and Coltrane. Guess what? “Making” tells us very little about the flick’s actual creation; instead, it delivers predictable advertising and fluff. Yawn. Finally, An Interview in Spanish With Alfonso Cuaron lasts eight minutes, 15 seconds. The director discusses how he came onto Prisoner, aspects of working on the film, complications related to shooting the third part of an eight-part tale, bringing his own touch to the flick, and other elements. This turns into a reasonably informative chat. 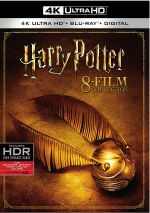 ”Trelawney’s Crystal Ball” Deleted Scenes provides five cut sequences, and these fill a total of four minutes, 53 seconds of footage. The most substantial pieces connect to the “Sir Cadogan” painting and his role as guard. Otherwise, we only see very minor bits, so don’t expect much from these clips. Blu-ray Two ends with Trailers. In addition to one teaser and two theatrical ads, we get promos for Harry Potter Spells (an iPhone/iPod app), Harry Potter: A Pop-Up Book, and the Harry Potter: Film Wizardry book. With Harry Potter and the Prisoner of Azkaban, we get a film with a lot of similarities to its two predecessors. Nothing here will turn off established fans, but nothing will entice non-partisans to embrace the Potter franchise. The 4K UHD boasts excellent picture and audio along with a fairly good selection of bonus materials. Though not the best of the Potter films, Azkaban offers decent entertainment.